"Creating a bold, emotive, and adventurous design for Tarah was so much fun! 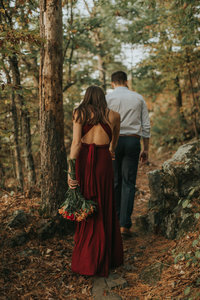 There are so many fun details, personal touches, and nods to Tarah's personal style, approach, and philosophy!" "After my launch, my revenue tripled; I booked three times more weddings than ever before." "From the very beginning, they blew me away! I couldn't believe how well they captured my emotive and adventurous style! It was so easy to completely put the design process in their hands, and because I did this, everything turned out better than I could've imagined! Kelly and Andra are my go-to gals for all things design - and friendship!" "Before working with Kelly and Andra, I felt like my website didn't quite feel like me. My style had changed so much over the years, and my website was too youthful for me. I wanted a brand and website to attract couples who love adventure - just like me!" To raise her prices and charge a higher price point. 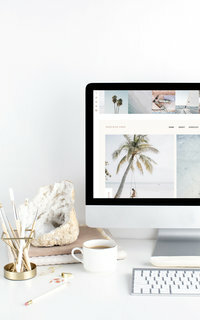 To feel "at home" in her brand and web design. Tarah Elise Photography is a Minnesota-based photographer and photographer educator for adventure-lovers.